Dalmatian Rescue of Colorado, Inc. - Dalmatian Smiles! Nubster - look at those teeth!! 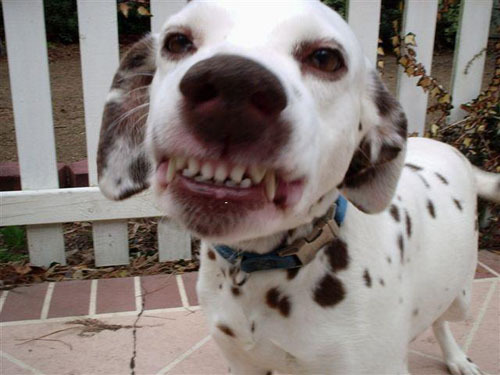 Many Dalmatians SMILE and do it with vigor. It is something that can be scary if you don't know what is is, but it is a wonderful experience when you realize that the dog LIKES or LOVES you! The body language is friendly, soft, usually with tail wagging and eyes closed of squinting. Talk silly to the dog and he'll smile even more. Dogs that smile can do it when they are very happy, or very scared, nervous or in trouble. They want more than ever to charm you! A smiler is icing on the cake of a good dog! 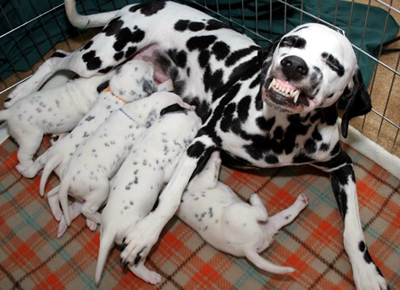 Send your images of smiling dals to Dalmatian Rescue! Include your dog's name and a few lines about your smiling Dal!